The use of contact lenses has grown over the years, and many people are now using contact lenses. The challenge comes in taking good care of the lenses and using the correct contact solution for your contact lenses. Doctors will recommend the best contact lenses for you and also the best solution to use. These recommendations are very important and should never be ignored and any given time. It’s crucial to know that the solutions you find in the market are made for use on particular contact lenses. If you clean your contacts frequently and appropriately, you will help in maintaining the lenses’ quality and also protect your eyes from any infections. The process of disinfecting the lenses is very simple and very easy to learn. When looking for the best solution for sensitive eyes, it’s good to understand all the important aspects of a contact solution. Starting with the simple steps will be very helpful. When looking at the variety of solutions used in cleaning contact lenses, you will find only two categories. Each solution is used uniquely different from each other. These solutions demand that you rinse your contact lenses after rubbing, all these are done before you wear the contact lenses. The process is very important in cleaning off any microbial organisms that may be present in the lenses. The other importance of the process is that it removes protein deposits and lipids that tend to collect on your lenses. Some solutions are only made for rinsing lenses. You will douse the sides of the lenses when rinsing instead of the usual rubbing of one’s finger(s) into the lens solution. If you follow any of these two methods correctly, then you will be able to have contact lenses that are healthy. Depending on your contact lenses you might need some additional steps, which will be clearly stated by your doctor. Below are the two types of solutions. Clean your hands with soap and water before you handle your contact lenses. Squirt a small amount of the lens’ solution on your palm. Put one of the lenses into your ready solution. When rubbing gently against the contact lenses use the index finger’s pad, the rubbing should be in circles. Repeat the whole process on both sides of the contact lens. After rubbing the lenses, rinse them so that nothing settle back on the surfaces of the lenses. This process should be done daily. Rubbing and rinsing of the lenses is recommended, before you leave the lens to soak in the solution overnight. Recent studies show that rubbing your contact lenses after they have been moistened with the multipurpose solution, provides a more effective cleaning process. This process has a great impact on the level of cleanliness of the lenses, and no step should be skipped ever. For healthy eyes and a clearer vision, clean the contact lenses properly. When you are disinfecting your lenses, you should also use the protein removers. In case you opt to use these protein removers, make sure the lenses are rinsed after the process. Other eye care experts suggest wiping the case used in placing the contact lenses before you refill it. This helps in enhancing the durability of the case and in removing microbial bacteria. The multipurpose solution is preferred by many and frequently recommended by many eye experts since it’s both affordable and very easy to use. This solution is also referred to as the hydrogen peroxide based contact lens’ solution (HPB solution). 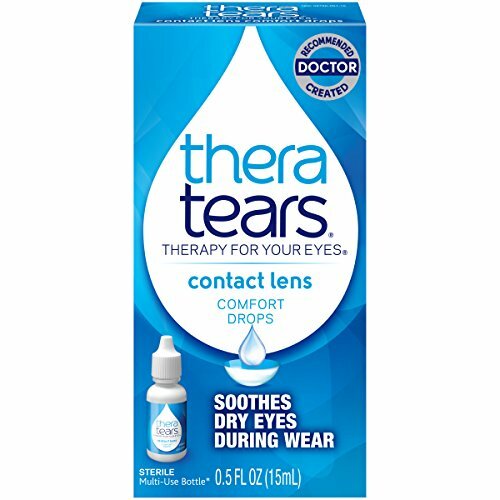 They are the best choice for cleaning and/or disinfecting your contact lenses. Hydrogen peroxide sometimes can be hypoallergenic, hence this solution is the best options for individuals who have allergies or are sensitive to the contact lens’ solutions. This solution can also be used for rubbing, rinsing and storing of your lenses, however, the neutralization step has to be followed. This step is very important since you will experience severe stinging and burning of your eyes. To neutralize the lenses, you have to place them in a specially designed case, which will chemically react with the (H2O2) hydrogen peroxide elements in the solution. Also, never place the solution in your lenses or eyes, if the system you are using is hydrogen peroxide, this should only be done after the neutralization process. Change the casings used in the neutralization process, whenever you get a brand new vial of contact lens’ solution since the solution’s neutralization disc(s) tend to lose their effectiveness with time. These two solutions demand that you soak your contact lenses for several hours. The minimum time being six hours, leaving them overnight would seem like the best option. Take caution that there are other brands of contact lenses which might need to be soaked for a shorter time period. If your eye care physician recommends you to use the HPB solution then its good he/she takes you through the whole process of how to use this solution in cleaning your contact lenses. This will help you in making sure you don’t skip any step, your lenses are probably cleaned and there are no chances of suffering any infection from bacteria and germs. Always check the expiry date on the bottle of the lens’s solution, before purchase and during the usage period. To avoid any contamination of your lens’ solution make sure the bottle is always correctly and firmly sealed. Before you purchase any solution, seek medical advice and consultation services from a professional, let your doctor recommend to you the best solution to use on your contact lenses. If you experience or develop any form of discomfort when using the solution seek medical attention immediately. If you are allergic to the preservatives, then you can buy solutions that do not have preservatives. The old or used solution should not be reused, rinsing out of the contact lenses should be done daily. You can use saline solutions when rinsing however, they are not to be utilized in disinfecting or cleaning. They can also be used for storage if you pair them with an UV disinfecting system(s) or heat. Though, these are no longer used as much. After every three months, you should get a new pair of contact lenses. This is because the more you use your lenses the more they collect bacteria. The tip of your contact lens solution’ bottle should not be in touch with any surface even your lenses. After rinsing your lenses with the H2O2 solution, don’t put them on your eyes, first neutralize them first. Or else you will damage your eyes. Keep your contacts away from tap water, don’t run them under any tap water. This is because you might expose your lenses to possible bacteria or irritations, which can lead to serious infection and discomfort. Make sure the solution you buy is FDA approved. When leaving your lenses stored in a solution make sure, the cases are closed and that the place is safe and dry. Nobody can knock down the case and hence break the case, spill the solution and damage the contacts. If you plan to change your current lens care system(s), first consult with your doctor. With the above basic guidelines and knowledge, locating the lens solution that will be best for becomes an easy task. Be cautious of the many products out in the market, and you can always inquire from your doctor to give you a more detailed step by step process on how to use the solution. The best time to ask all the questions you will have about the lens caring systems would be when you go for your lens fitting procedure. The same way you love your eyes, love your contact lenses and solution.